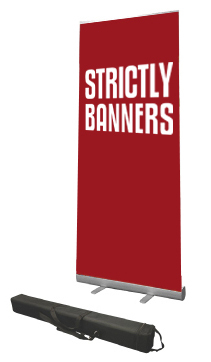 Our premium roll up banner is both affordable and robust. This stand is designed for medium-heavy use. Print is on good quality PVC that sits flat on the stand (no side curl).